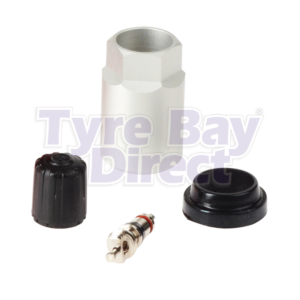 Our Service Kits are able to assist our range of TPMS Sensors, including Schrader TPMS Sensors. Having a Service Kit allows an area of the sensor to be fixed and/or replaced, which is easy to use so the damaged component can be swiftly replaced. 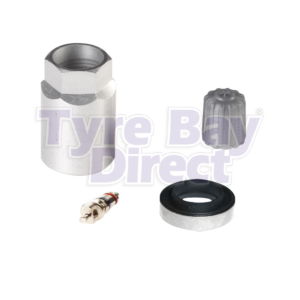 Have a look at our Service Kits below or view all other products on our TPMS homepage. Why Replace The Service Kit On A Tyre Pressure Monitoring Valve Stem? Like other vehicle parts, such as the standard tyre valve, the TPMS Sensors have items that should be replaced or serviced every time the tyre is serviced or replaced. For example, the rubber on the TPMS sensor valve may be worn over time, so to ensure maximum safety for your customers and correct vehicle maintenance these items should be checked and replaced as necessary.